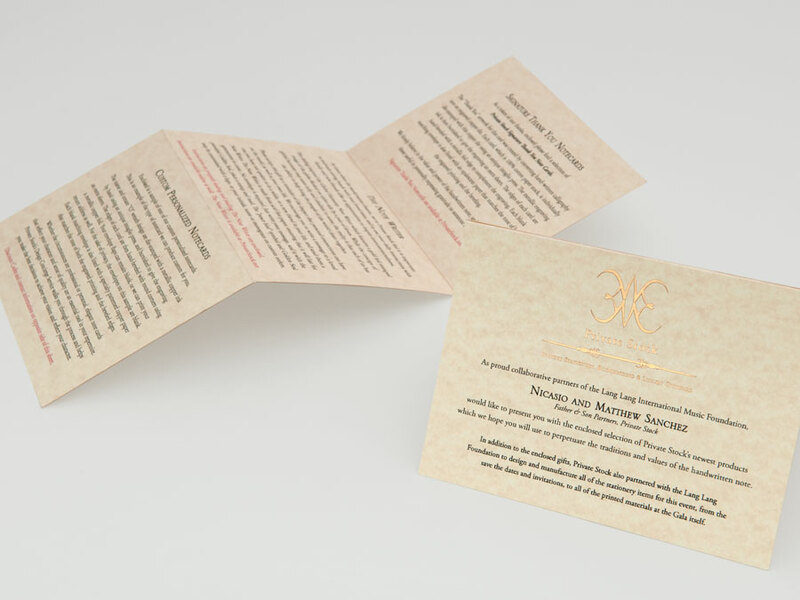 What we decided to do was make a booklet invitation, which worked out perfectly to solve all of the above issues. 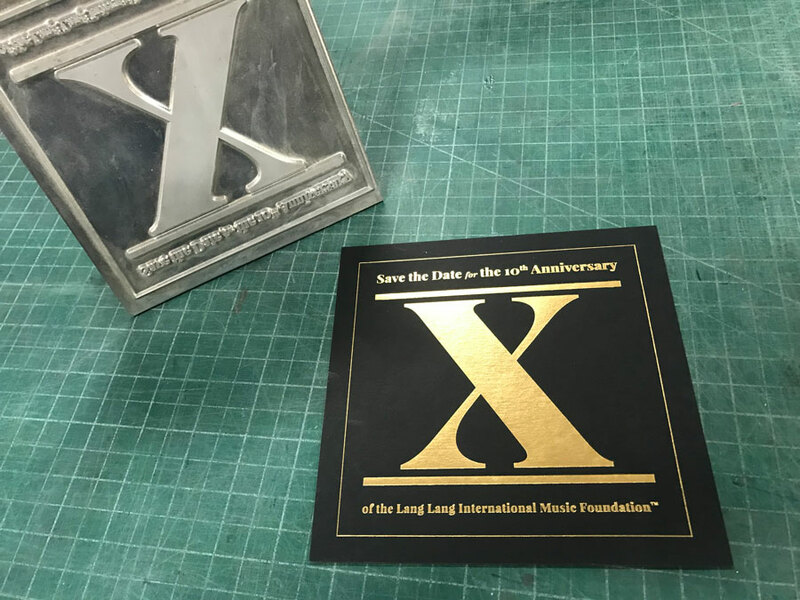 The artwork for the cover of the booklet was similar to the front of the save the date, but the fact that it was a folded card definitely differentiated it. 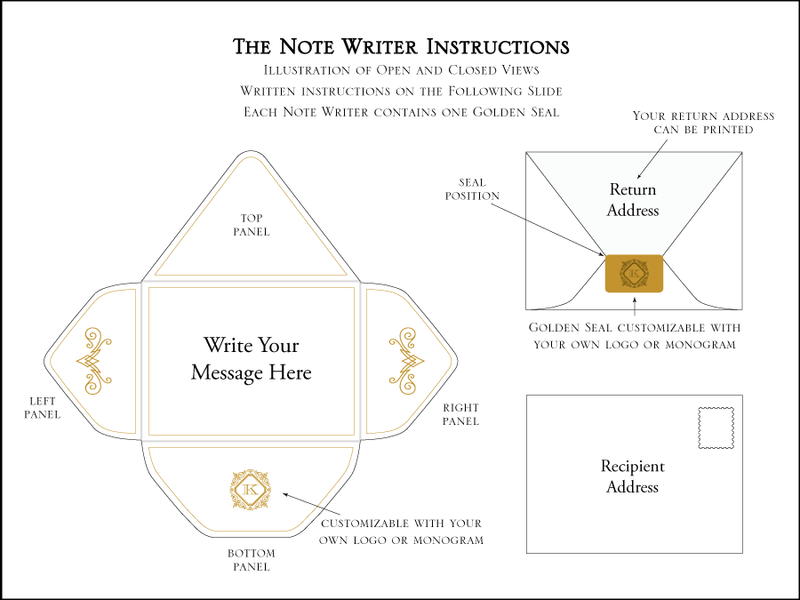 Also, because it was a folded card, there were two additional panels to fit content, and we were also able to place the multiple insert cards for the package in the interior of the folded card. 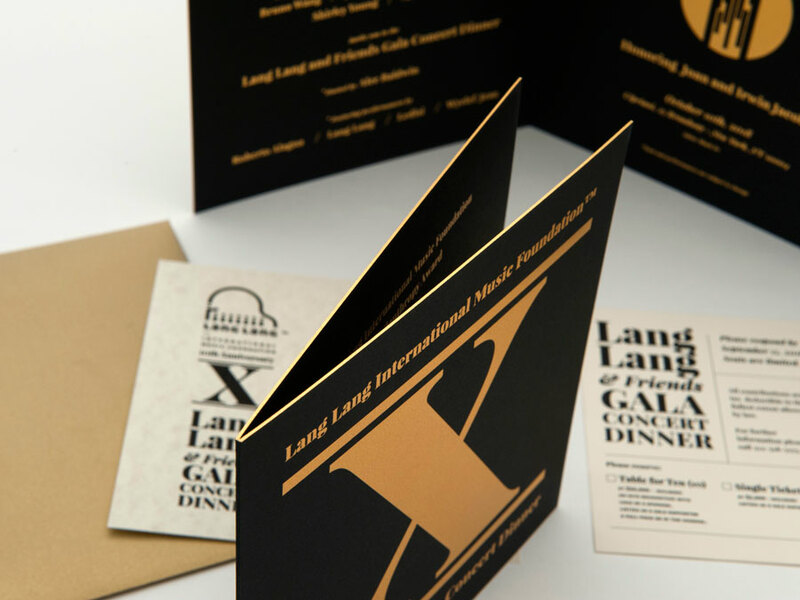 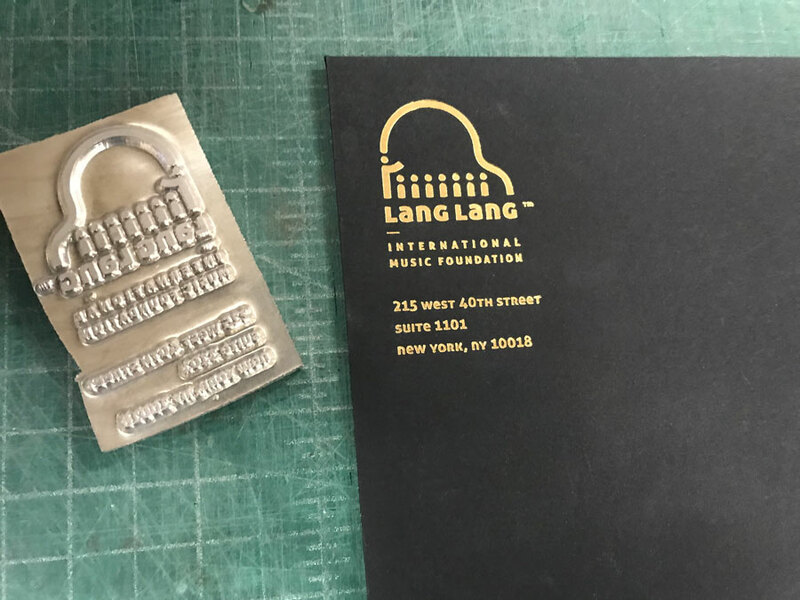 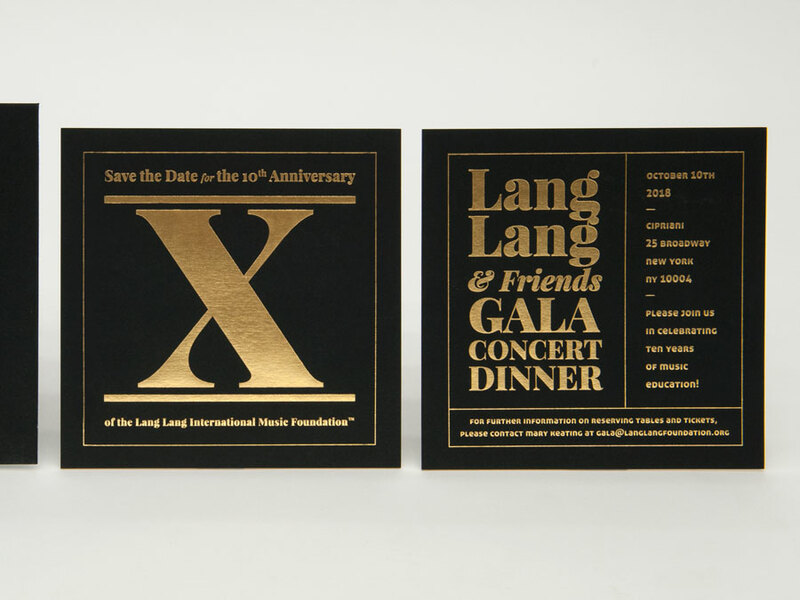 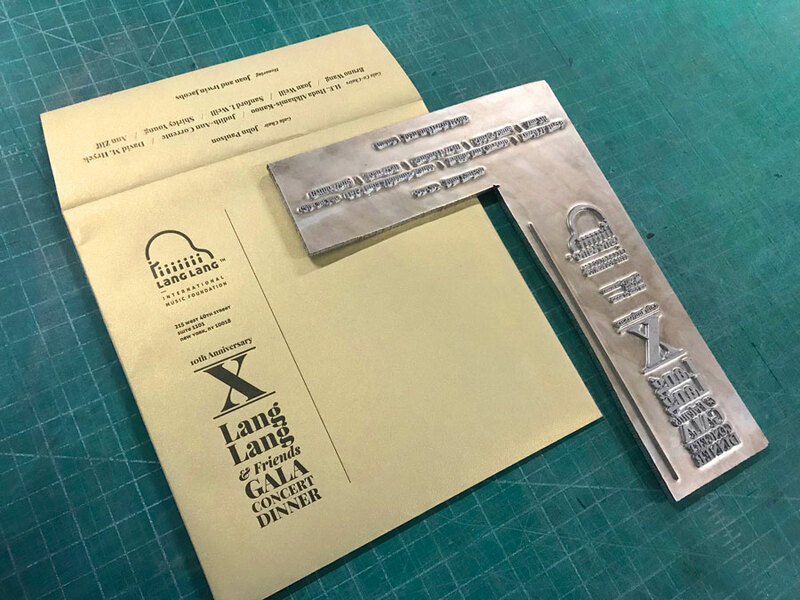 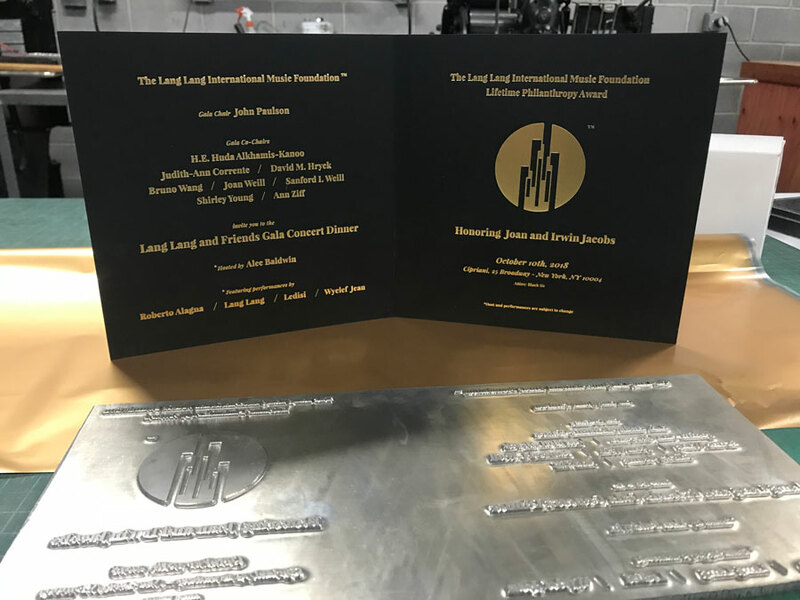 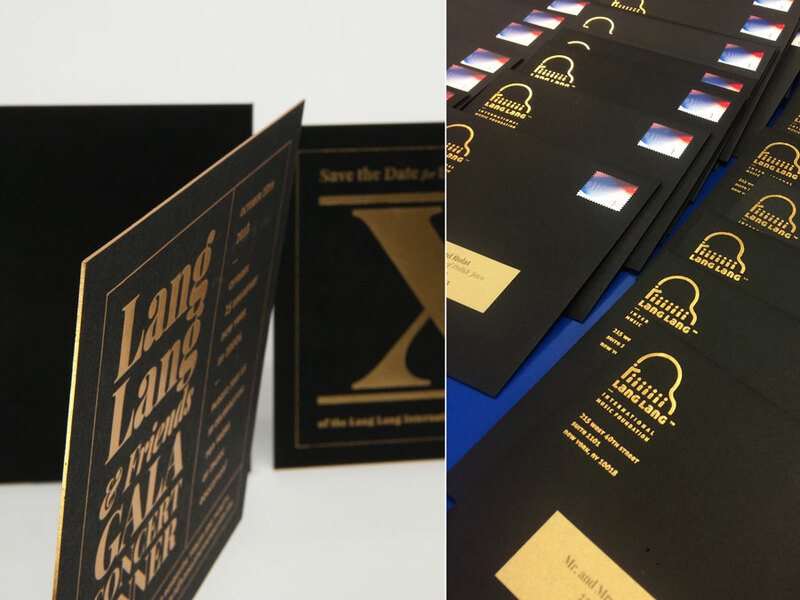 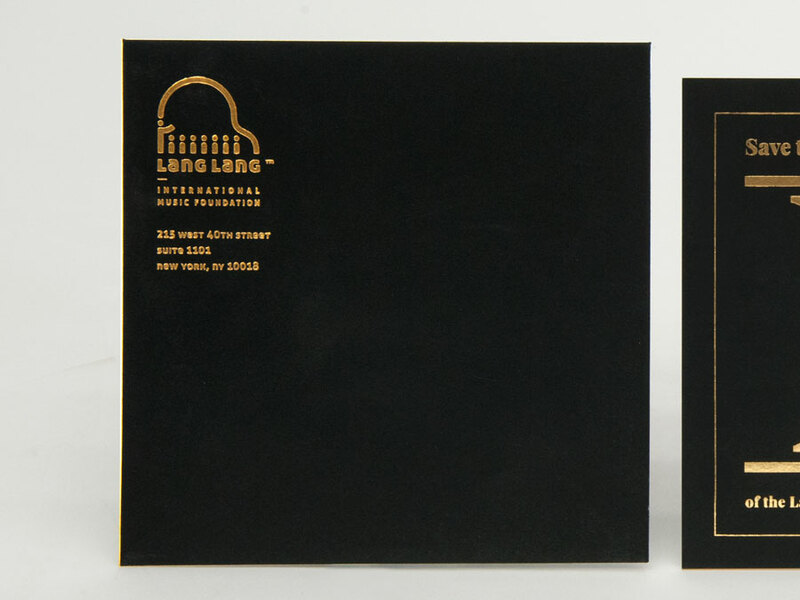 The paper stock we used for these invitations was Sirio Ultra Black 280 gsm, which was scored, and then duplexed to 560 gsm in order to give these cards some extra thickness to really show off the edge gilding. 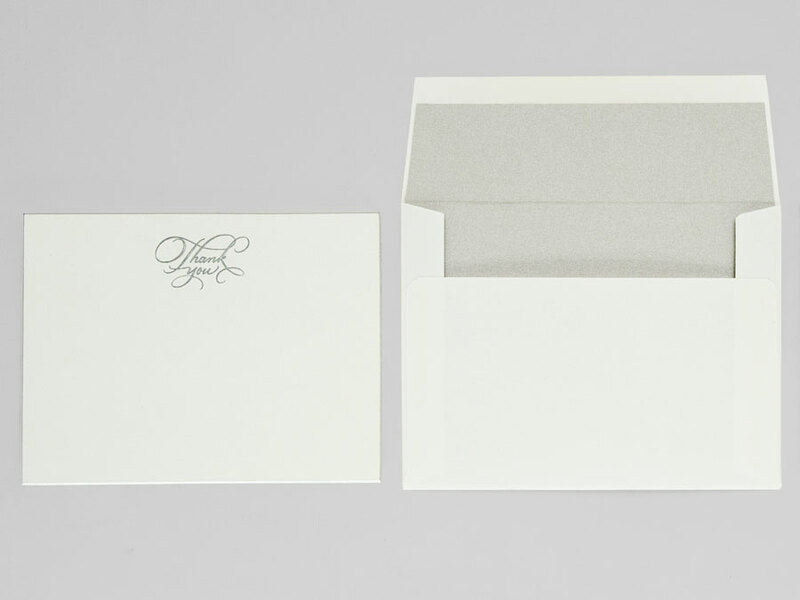 The total thickness of the cards when closed is a whopping 1,120 gsm. 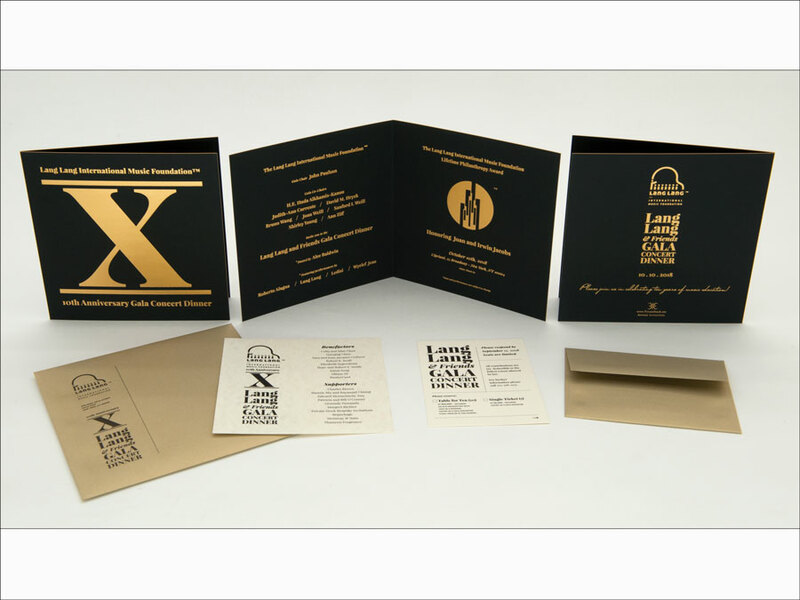 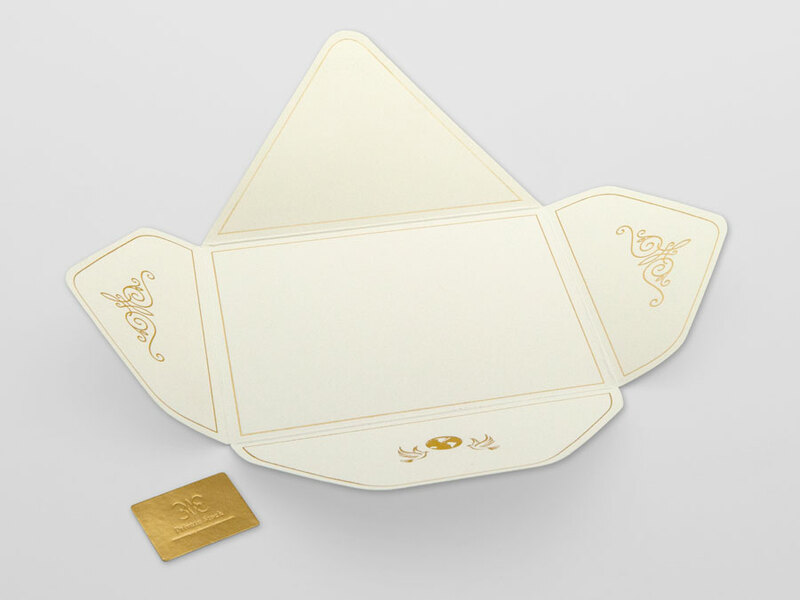 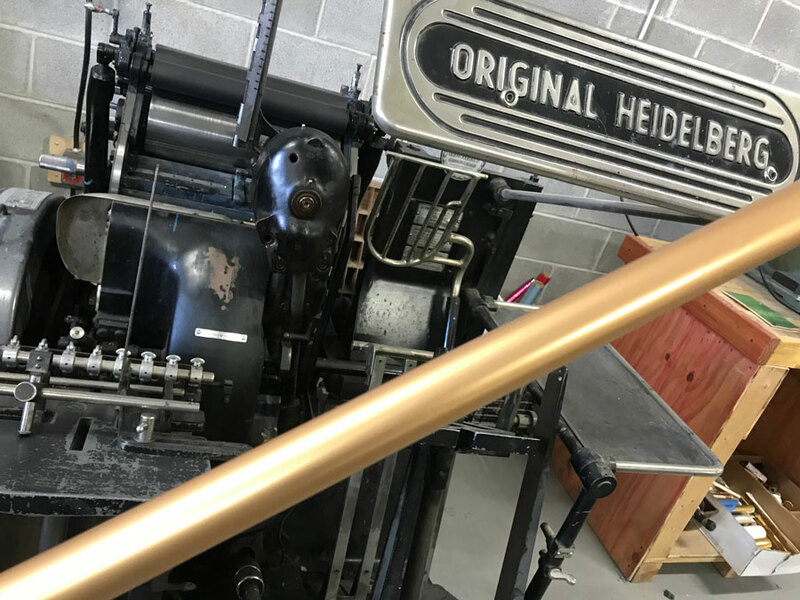 The 7″ x 7″ invitations were foil stamped on all four panels with an antique gold foil, and the edges were gilded in antique gold to match. 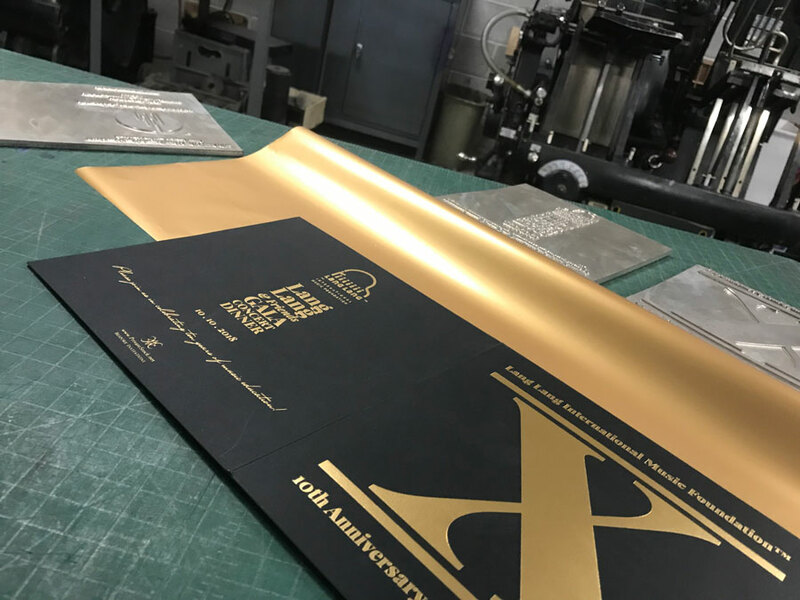 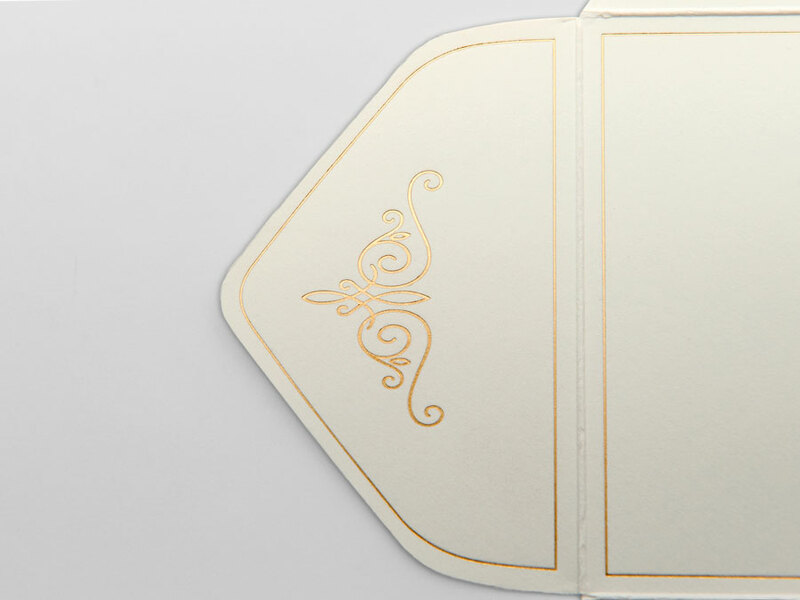 To make these invitations stand out even more, we paired them with Curious Metallics Gold Leaf envelopes, which were letterpress printed on the face and the flap in black. 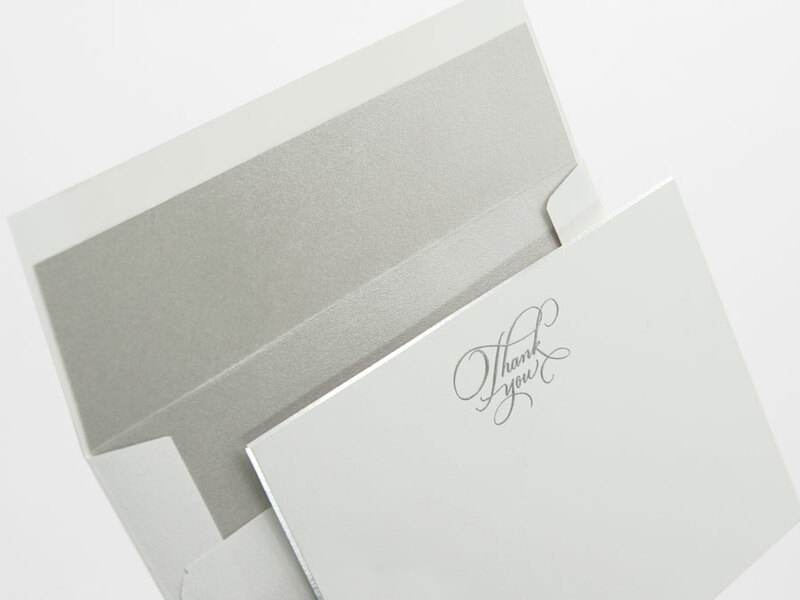 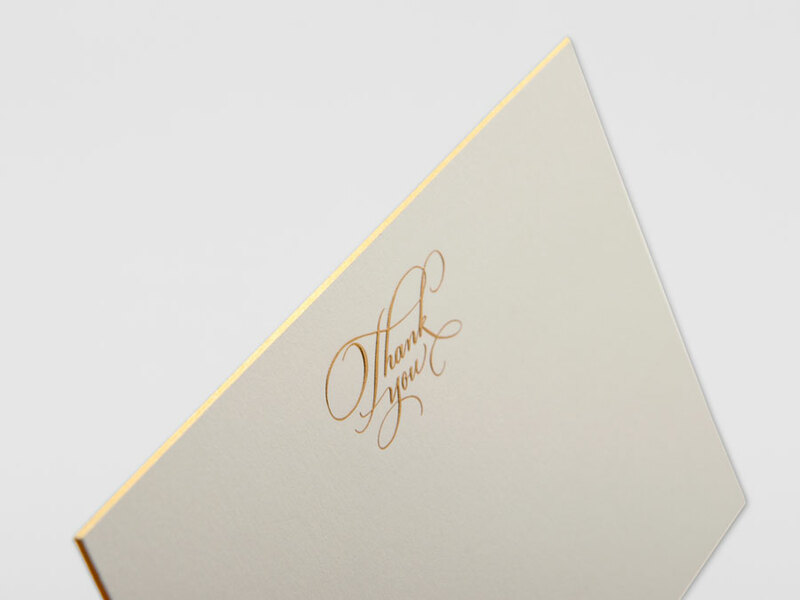 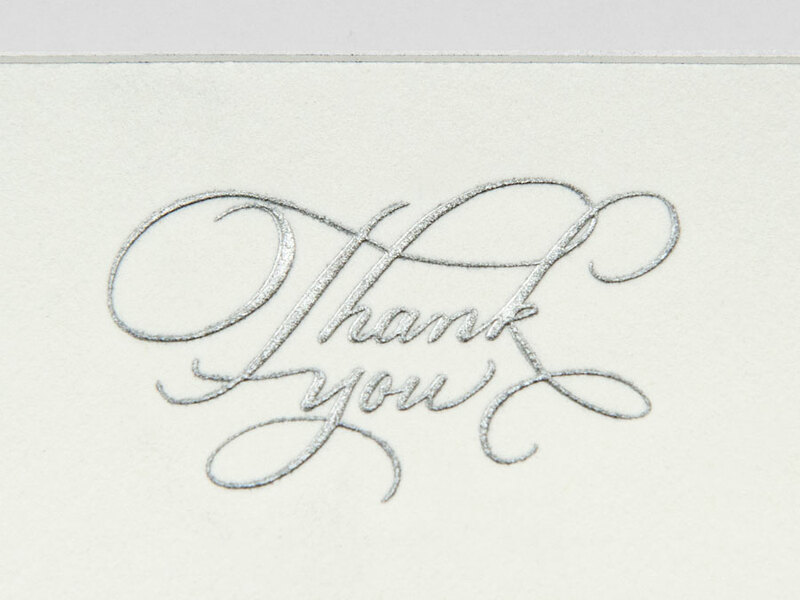 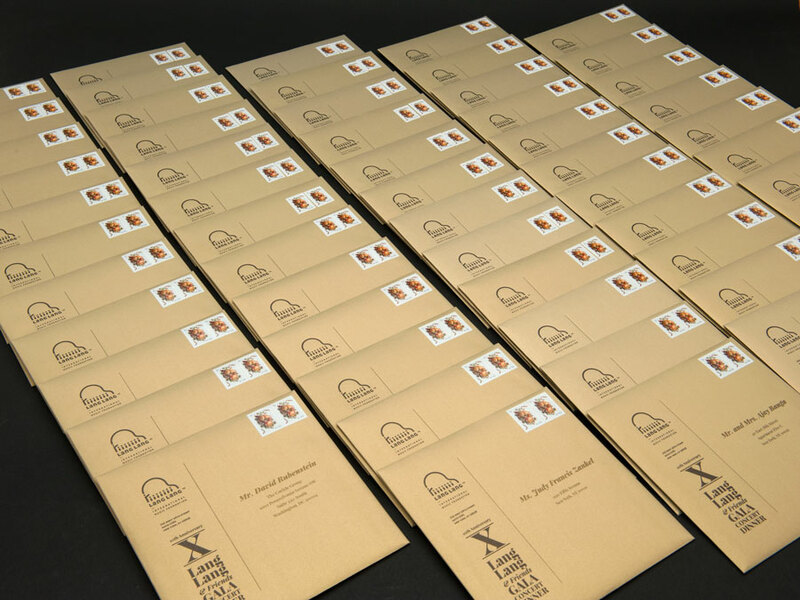 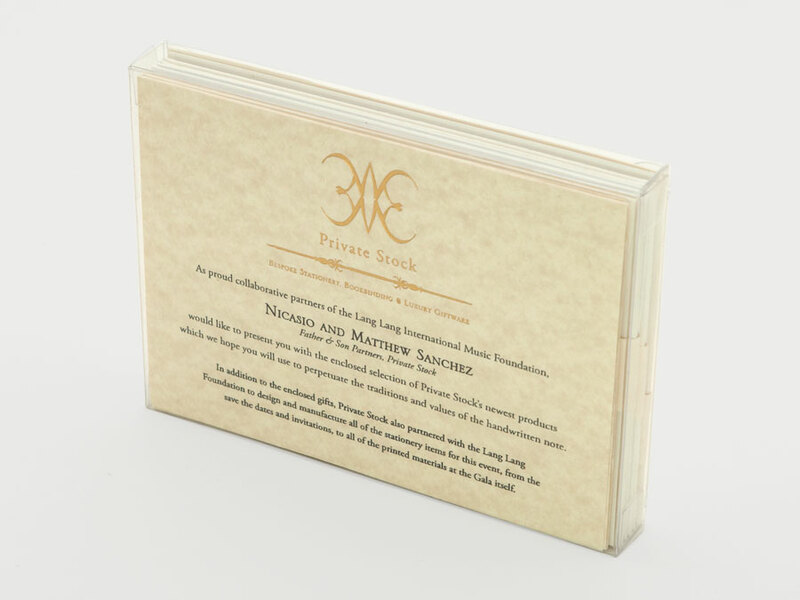 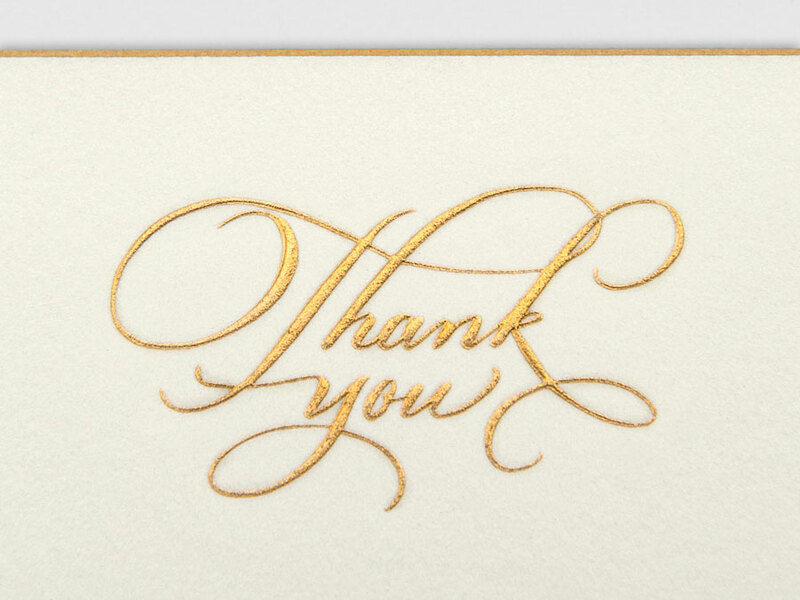 The recipient addresses were then digitally printed on all 900 envelopes! 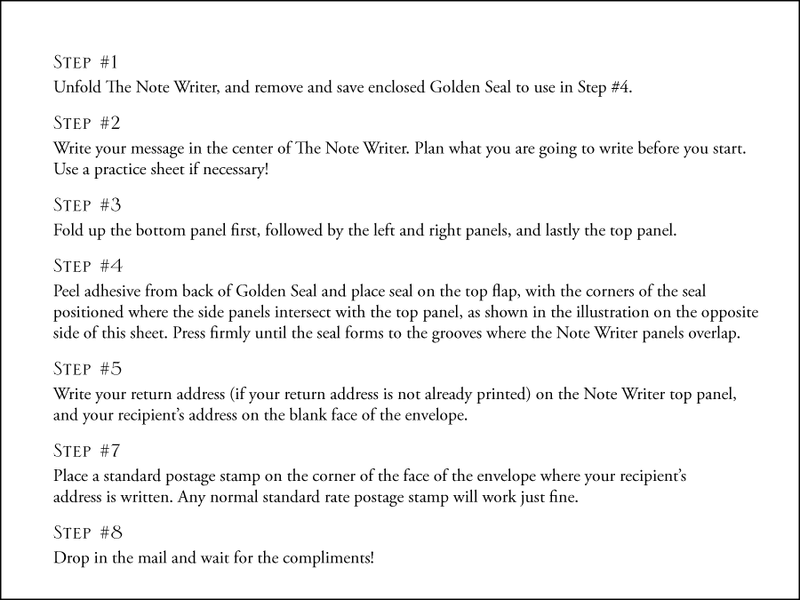 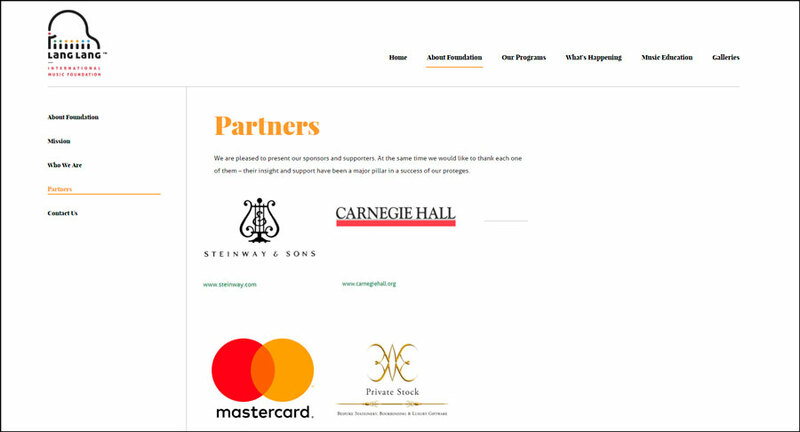 Once that was done, we applied the stamps and completed the fulfillment for this project by delivering the invitations to the Post Office! 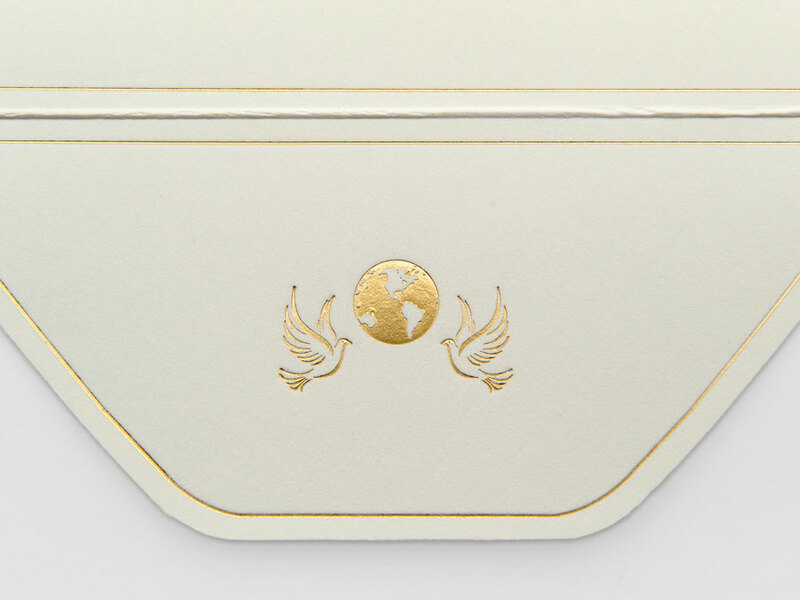 Next up comes the amazing gift box we are putting together to give to all of the attendees of the Gala. 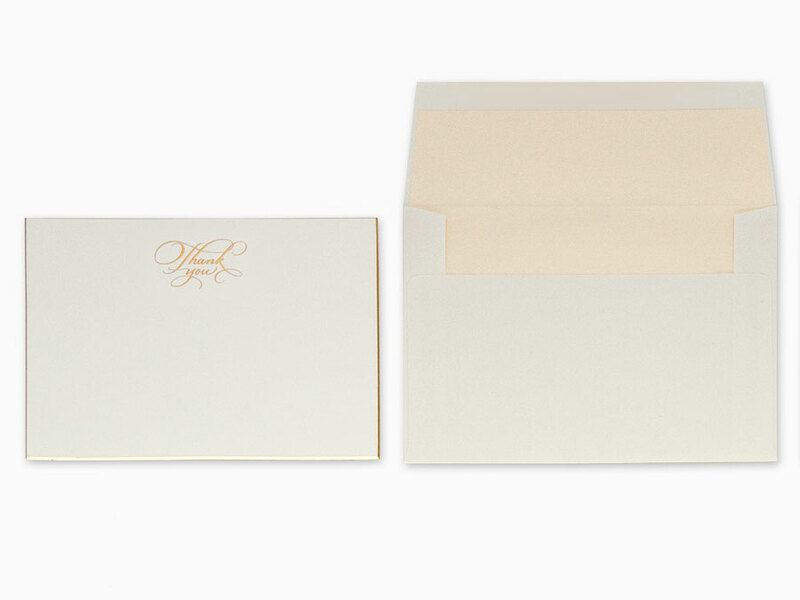 Stay tuned for more beautiful stationery items!